Is the Asian Infrastructure Investment Bank (AIIB) just another vehicle for spreading Chinese geoeconomic primacy throughout the Asia-Pacific? Earlier this year, reflecting on the bank’s first projects, I argued that such fears were overwrought. The AIIB, with modest partnership-based undertakings along with the Asian Development Bank, World Bank, European Bank for Reconstruction and Development, and the United Kingdom’s Department for International Development, hasn’t quite turned into what some had originally feared. Myanmar, it turns out, could become an interesting test case for the AIIB’s supposed independence from China’s broader geoeconomic ambitions. During her five-day visit to China, Myanmar’s leader Aung San Suu Kyi, among her busy bilateral schedule with Chinese leaders, met with Jin Liqun, the AIIB’s president. China, moreover, has urged rebel groups in northern and northeastern Myanmar, including the Kokang rebels, Arakan Army, and the Ta’ang National Liberation Army, to participate in talks led by the new government later this month. Following Myanmar’s momentous elections last autumn and the triumph of the Suu Kyi-led National League for Democracy, Beijing fears that Naypyidaw could pursue a more balanced foreign policy, drifting away from the economic ballast provided historically by Beijing during the military junta and Thein Sein years. Even before the NLD took over, military leaders had expressed frustration and concern at their country’s seeming over-reliance on China. In 2014, a planned railway linking Kunming to Myanmar’s Rakhine coast was canceled, with Myanmar’s railway ministry citing complaints by “the people and social organizations” of Myanmar. Furthermore, China-led projects like the Myitsone dam and Letpadaung copper mine have come under sharp criticism and protest by locals. Finally, Beijing’s perceived extraction of natural resources from Myanmar, at the expense of great environmental damage in the case of the Letpadaung mine, further strained ties. Moving forward, China has plans to operationalize ambitious infrastructure projects through Myanmar as part of its “One Belt, One Road” framework. Like the China-Pakistan Economic Corridor, which connects China’s western frontiers to the Arabian Sea, trans-Myanmar infrastructure will link China’s Yunnan province to the Bay of Bengal. Without the eagerness of the Burmese state for these initiatives, China’s overtures may fall flat, delaying or possibly derailing altogether one of the long-envisaged corridors of the Belt and Road. The AIIB, as a multilateral institution, could grant some flexibility to China’s plans here. Instead of additional projects led by Chinese state-owned enterprises in Myanmar, further contributing to perceptions of over-reliance, AIIB-financed domestic undertakings could be complementary to Beijing’s existing projects. 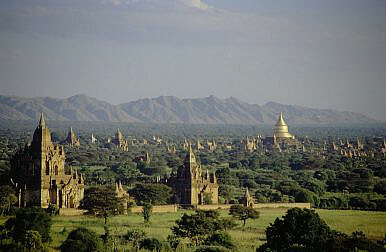 China could additionally supplement projects in Myanmar with funds from its $40 billion state-owned Silk Road Fund. Jin, speaking earlier this year, said he saw power and transport as the two likeliest sectors for the AIIB in Myanmar. Myanmar is a founding member of the AIIB and has contributed $264.5 million to the Bank’s capitalization, granting it 0.49 percent of voting shares. “For any AIIB-financed project in Myanmar or any other country Chinese firms can participate – but only through an international-standard competitive bidding [process]. That’s the key,” Jin had noted earlier this year. On environmental standards, the AIIB may have a leg up over the ADB and the World Bank too. Neither bank can fund coal-fired power plants, for instance, due to environmental standards. The AIIB, without a final policy in place on the matter, has left the door open on funding coal plants. In April 2016, a Chinese firm began upgrading Myanmar’s lone coal power plant too. If the AIIB funds a second coal-fired plant in Myanmar or backs Chinese state enterprise-led projects in service of Beijing’s strategic infrastructure objectives, earlier criticisms of its environmental standards and susceptibility to Chinese meddling would carry more weight. Given the AIIB’s voting structure, however, China can effectively only veto projects–not shoehorn unpopular projects without merit past the Bank’s other members. And Myanmar no doubt has a great need for infrastructure financing. The AIIB, along with the ADB and the World Bank, can do real good, making an important contribution to aid the development of one of Southeast Asia’s poorest states. The interaction between the still-new AIIB and China’s state-led infrastructure initiatives across Asia remains blurry. In Myanmar, with AIIB-financed projects around the corner, we may see the clearest example of the Bank fitting into China’s broader Belt and Road framework. In its effort to retain its historic influence and place in Myanmar as the country undergoes a historic period of democratic transition, China will need all the help it can get.